Black Friday began in the 1960 as a term to express the time of year when business books went from red to black. Now it’s a polarizing day most Americans dread or anticipate. Thankfully, a truly altruistic event has spawned from the overly commercial, Black Friday; Giving Tuesday. Organized in 2012 and only picking up speed, Giving Tuesday is estimate to process over 30 million dollars in donations in 2014. December continues the tradition with free admission and special activities featuring exhibits including tours of the African Quilt display, a workshop, and a holiday trunk show in the MAM store. Enterntainment includes the Silver Fox Songs Quartet and the Newark Boys Chorus, paired with drinks from Pig & Prince and food from The Empanada Guy and Oink & Moo. Who: All are invited. Alcohol is served, so you must bring your ID. Update: As always, we had such a great time. 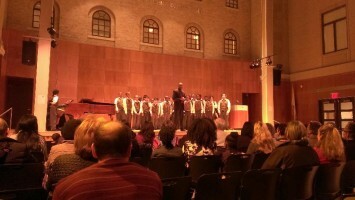 The Newark Boys Chorus blew us away. What’s more emblematic of Christmas than a Christmas Tree. 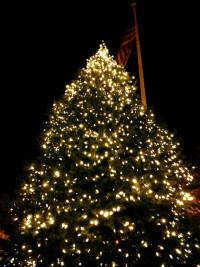 One our favorite Christmas traditions was always watching the lighting of the tree, and it still is.The annual Montclair tree lighting this year will be held on Friday, December 5 at 6:00 p.m., in Church Street Plaza. Not really an event, but it’s still exciting. 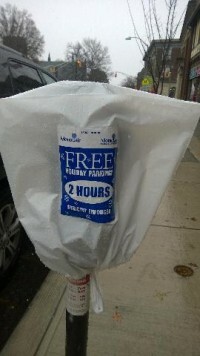 Keep in mind, this is to promote local business and only refers to 2-hour bagged meters, not 3-hour meters. Third annual Wrap & Roll event on Tuesday, December 9, 2014 from 4:30 to 7 p.m. at the Charles H. Bullock School, 55 Washington Street, Montclair. 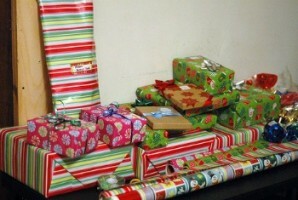 Continuing in the season of giving, Montclair Schools team up to provide gifts to the underprivileged. Bringing donated and unwrapped gifts, volunteers from all around the community come together wrapping and bonding around refreshments and festive delights. 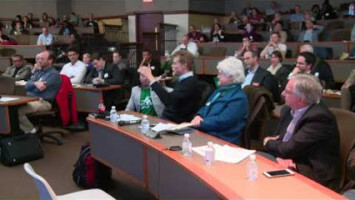 Think you have an a mind blowing scientific or technological idea aimed at benefiting the world. Google wants to hear about it. Selected as 1 of 12 sites in the world, North Jersey and Montclair State University are hosting Google’s Solve For X initiative 2014. The best part, it’s open to anyone. 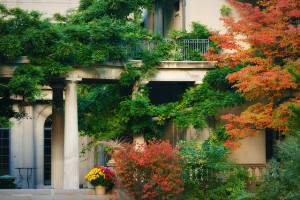 Laura Roberts, Garden Manager of the beautiful Van Vleck leads a tour through the final few days of autumn. Tours can be given individually or as a group. Cost: $5 Friends; $7 others Series Rate: All four tours (Sept – Dec) for $15 Friends or $20 others. The Turtle Back Zoo is an amazing place any time of year. The amount of changes the zoo and the surrounding area has gone through is incredibly impressive. We are especially excited to visit this year, as they have added many new exhibits. and December is an entirely different experience. 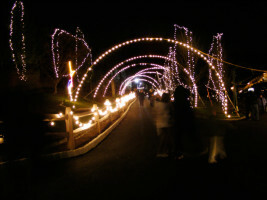 The Turtle Back Zoo entertains families from all over, decorating the entire zoo in festive lights. A truly impressive display. Recreating the 1964 TV special, NJPAC brings Rudolph the epic characters, music, costumes, and effects to the stage. Before the show, meet in the lobby for photos, face painting, art, and refreshments (free for ticket holders).